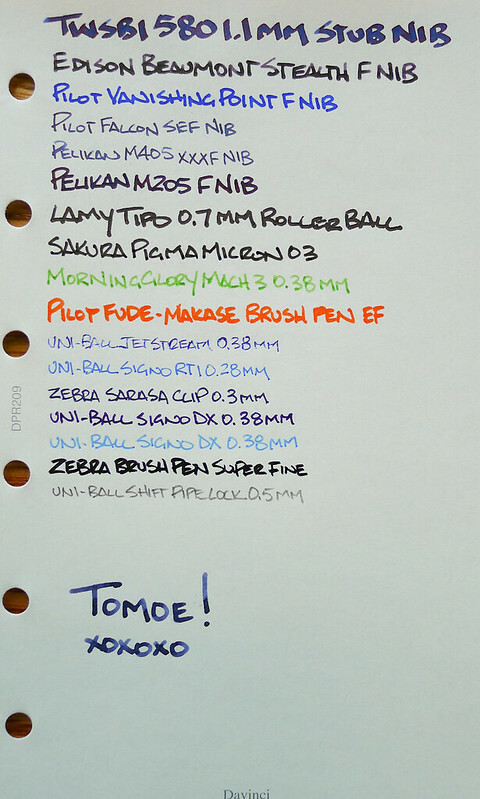 The recently released Raymay Davinici System piqued my interest for one reason, and one reason only: The use of Tomoe River paper. Tomoe River paper is something special. When I reviewed it earlier this summer I was taken aback. 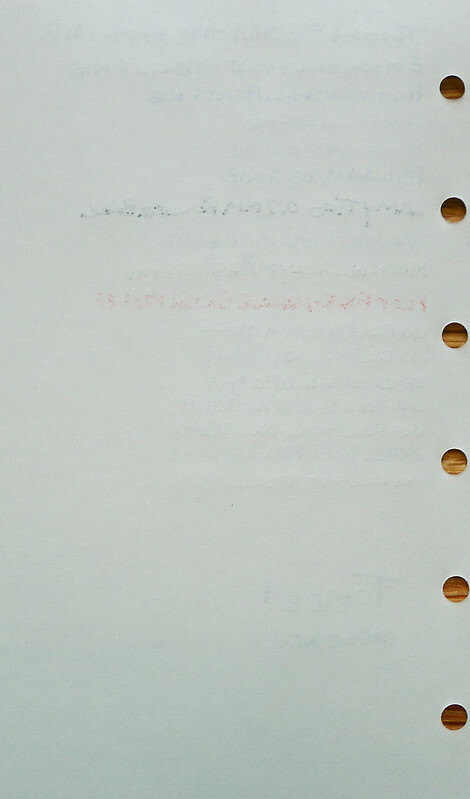 How could a paper this thin be this receptive to ink? I put it through the fountain pen ringer and it performed so well I started seeking out other products that use it. That was, and still is, a challenge. The tide is changing though, and Tomoe River is starting to become more available. One of the new sources is the aforementioned Raymay Davinci planner system. 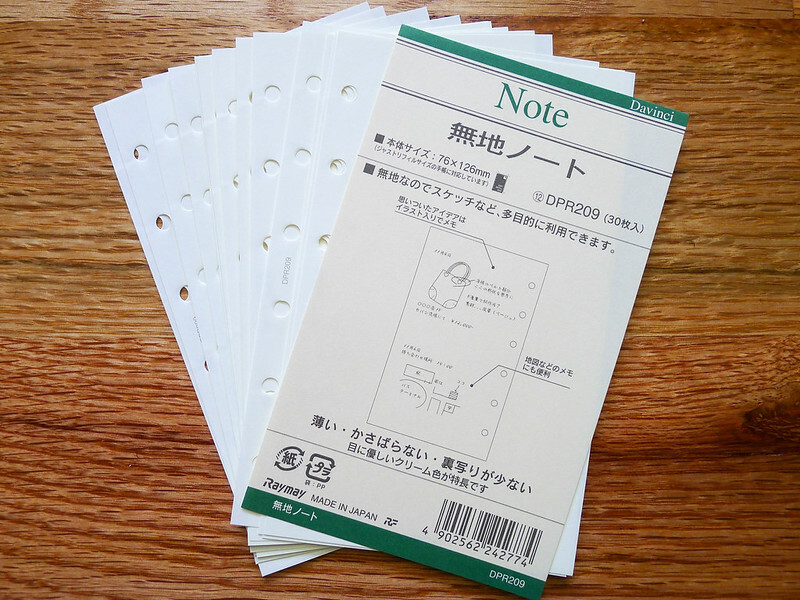 I opted to pass on the full Davinci planner since I have a Hobonichi Techo on the way for 2014 (which also uses Tomoe River), but I wanted to give the paper a test run so I ordered the plain, pocket size refill pack. As expected, the paper performed like a champ. It is very smooth with all inks, with only wider-tipped liquid ink pens like the Lamy Tipo and Pilot brush pen bleeding through to the back - barely. That is an amazing accomplishment for a paper this thin. The lone tradeoff is that inkier pens do take some time to dry. It's not as immediate as more porous paper. I wanted to see if my first experience with Tomoe River paper held true when used in other products and it did with flying colors. This is not a paper for everyone, but if you want to try something unique - and quite frankly, amazing - search it out and give it a shot. Posted on September 19, 2013 by Brad Dowdy and filed under Tomoe River.